Guess what song was on the radio as I was driving home from the GORGEOUS bike ride this morning? I still haven’t stopped laughing. This was the first thing that popped into my head when I heard that song. 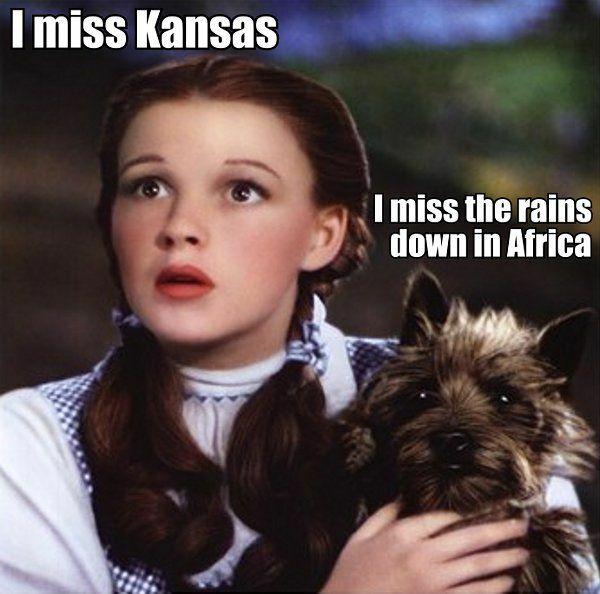 Yes, “Africa” by Toto. Anyway, how could you have a bad day when it’s PERFECT weather? Oh my goodness, I’m so glad I didn’t ride on the trainer, because I would have missed the PERFECT weather! It also helps because my neighbor was having a tree cut down and the buzzing and zzzzzzzing sounds from the chain saw and huge grinder thing would have driven me in-sane. Thank goodness for chirping birds that 99.99999% of the time make me happy. 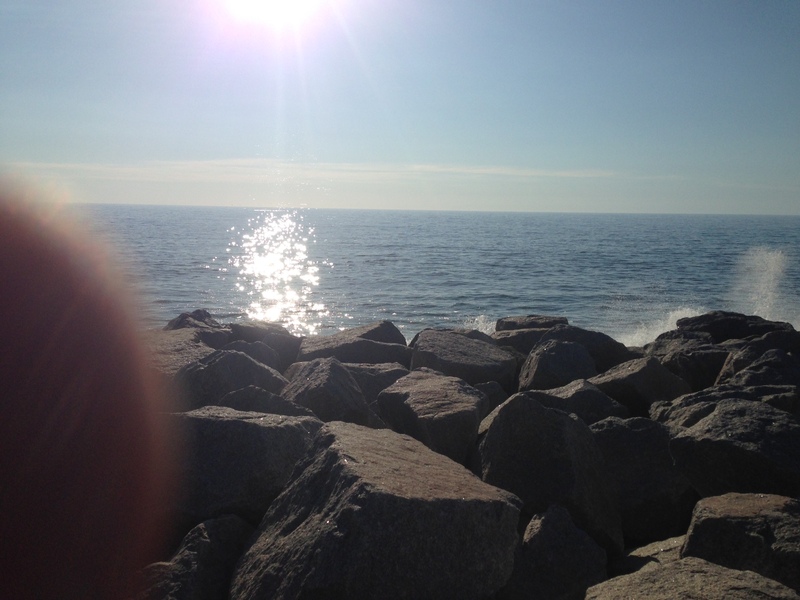 I had to stop and gaze at this, and I even got some beautiful ocean shots, complete with fuzzy finger. I still can’t believe I live here. 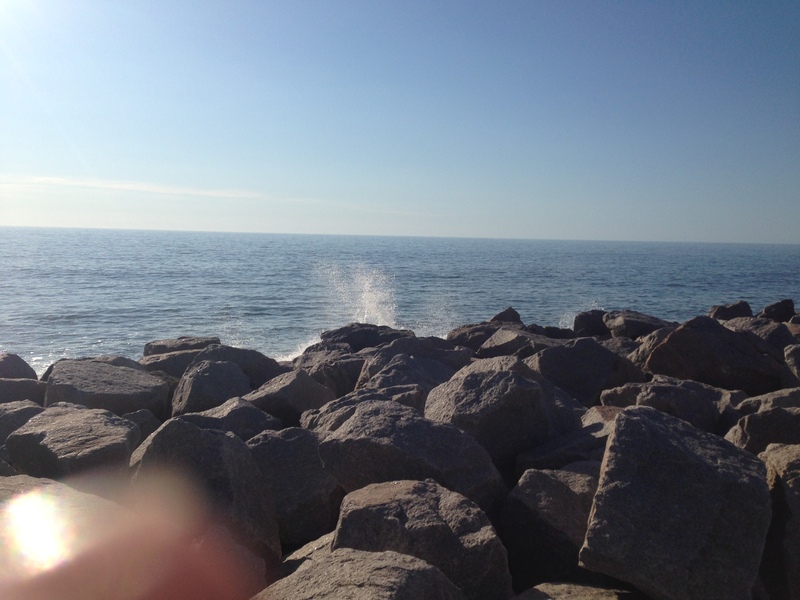 It was super calm but the waves were huge, and crashed in on the rocks. It’s like a movie or something. Is anyone NOT from here tired of these pictures? Well, SORRY! I ended up biking about 27 or so miles, which is my 3rd day of biking in a row, and tonight, I’m off for packet pickup and swimmer meeting for the race tomorrow. This is the first time, and could be the only time that I will never care in what place I finish. There’s even a strong possibility that I will come in last in the sprint race, and I do not give a crap. At all. I might even win an award for last. It’s refreshing. I’m just looking forward to getting out there and getting one more step closer to completing my first triathlon. On a beautiful day. Good luck to those who are racing and may you come in wherever you please! Happy Friday! ***After posting this, I found that THIS IS MY 100TH POST!!!! AND IT’S ALL ABOUT BEING HAPPY!!!!!! Happy 100th Post Birthday to me!